Accent Dance is comprised of a multicultural and multilingual team of top-tier professional dancers and teaching artists. 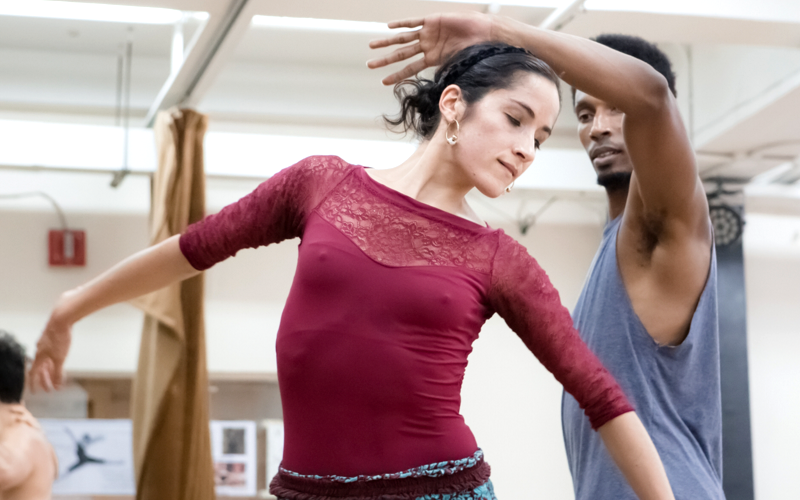 The artists have backgrounds with such prestigious professional dance companies such as Alvin Ailey, the Cuban National Ballet, New Jersey Ballet, and Dance Theatre of Harlem. Each member of the Accent Dance team also is an experienced teaching artist. Andrea Ziegelman is the President of Accent Dance and of the Erwin and Isabelle Ziegelman Foundation, a 501(c)(3) charitable organization. Andrea was born in Detroit, Michigan and comes from a family of classically-trained pianists, cellists, singers, and violinists who held leading positions in professional symphonies and opera companies in the United States, Europe, and the former Soviet Union. Along with the study of piano, Andrea pursued rigorous ballet training throughout her youth, enrolling after high school in the ballet department of the University of Utah. Andrea also holds a Bachelor of Arts degree in French literature from the University of Michigan and attended Georgetown University School of Law and Columbia Law School. In addition to maintaining a law practice in Manhattan, and being appointed by judges to represent children in family law cases as their attorney and as guardian ad litem, Andrea continues to enjoy taking regular dance classes, performing, and teaching dance to children of all ages. 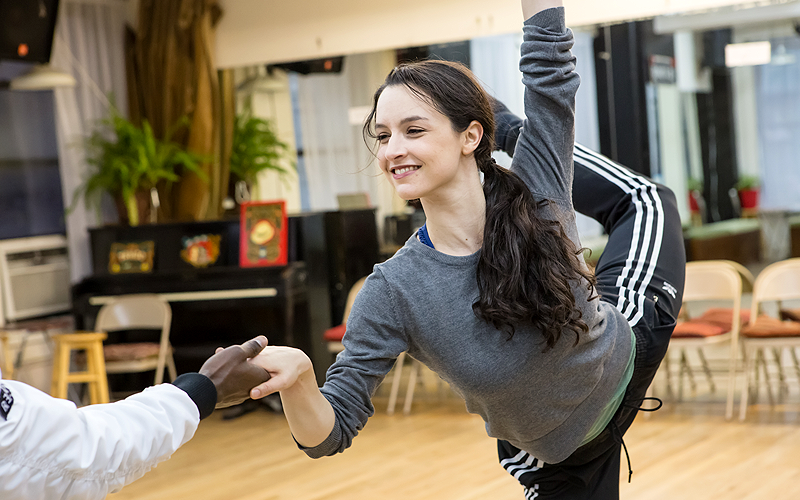 As a long-time patron of the arts, Andrea started Accent Dance with her fellow teaching and performing artists to bring the highest quality of dance education programming to New York City public school children. Jose Losada was born in Havana, Cuba, and trained at the National Ballet of Cuba before beginning his professional career there, rising quickly through the ranks from corps de ballet member, soloist, and then principal dancer with the company in 2009. Jose has danced leading roles in many classical ballets, including Swan Lake, Giselle, Don Quixote, Coppelia and The Nutcracker, and he has traveled extensively as a guest artist throughout the United States, as well as abroad, including in far-reaching places such as South Africa and Macedonia. Jose continues to be a sought-after guest artist who, notwithstanding his talents as a performer, also is devoting considerable time and energy to his work with Accent Dance as a performer and teaching artist. Jose’s success as a dancer has not changed his modest, kind, and gentle nature, making him an approachable teaching artist, and natural role model for young students. Lucía Jackson, the daughter of a jazz musician-father and painter-mother, began vocal and dance training in Madrid, Spain, studying dance at the Professional Dance Conservatory of Madrid while also studying music at the school of Musica Creativa. At the age of 18, Lucia returned to her birthplace, New York, after being accepted into The Alvin Ailey School. Lucia also is a member of several professional dance companies, including FJK Dance, Dardo Galletto, and Tango for All. As a jazz singer, Lucia has performed with various jazz bands in New York City, playing at well-known venues such as Iridium, Zinc Bar, and Shapeshifter Lab. This November, Lucia will tour as part of a jazz festival in several cities in Russia, and is honored to announce the release in September 2018 of her debut jazz album, You and the Night and the Music, now heard and available on CD, radio stations, and Spotify. As an experienced teaching artist, Lucia shares her wide-ranging musical, theatrical, and dance talents with her students, teaching and choreographing works that incorporate elements of ballet, modern, tango, flamenco, jazz, and contemporary movement. Elisa Toro Franky was born in Bogotá, Colombia, where she began her training at the Myriam Guerrero School of Ballet. In 2004, she came to the United States to train at the Miami City Ballet School. In 2007, Elisa began dancing professionally with the Washington Ballet. Upon moving to New York in 2008, Elisa toured and performed with the Dance Theatre of Harlem and from 2010 to 2014, was a company member with the New Jersey Ballet. In addition to her work as a classical ballerina, Elisa has been a featured artist with Dardo Galletto Dance, FJK Dance, and Christopher Caines Dance, touring internationally as well as performing at the Jacob’s Pillow Dance Festival in Becket, Massachusetts. Elisa also is a devoted teaching artist, training, choreographing for, and demonstrating her exquisite lyrical style and aesthetic line for her students while also being able to articulate her thoughts in perfect English and Spanish for children ranging from absolute novices to those pre-professional student-dancers whom she has taken under her watchful wing in New York City, Westchester, and Long Island. Elisa also has spearheaded several dance education programs for underserved children in the New York City public school system. Dannys Gonzalez, a native of Cuba, trained and graduated from the Cuban National Ballet School in Havana, and began his professional career in the Cuban National Ballet directed by the famed ballerina, Alicia Alonso. In 2009, Dannys became a soloist in the Ballet de Cuba Company. His classical repertoire includes major roles in Swan Lake, Coppelia, Don Quixote, La Bayadére, La Sylphide, La Fille Mal Gardée, Paquita and The Nutcracker. Dannys has toured internationally with “Ballet Revolucion” as well as with other dance companies. After moving to New York City, Dannys joined the Alvin Ailey School and thereafter performed with various ballet and contemporary companies throughout the United States. Dannys is an exuberant, passionate, and committed teaching artist and choreographer who celebrates each student’s individuality, artistry, and creativity. Dannys is on the ballet faculty of the well-known School at Steps on the Upper West Side of Manhattan. 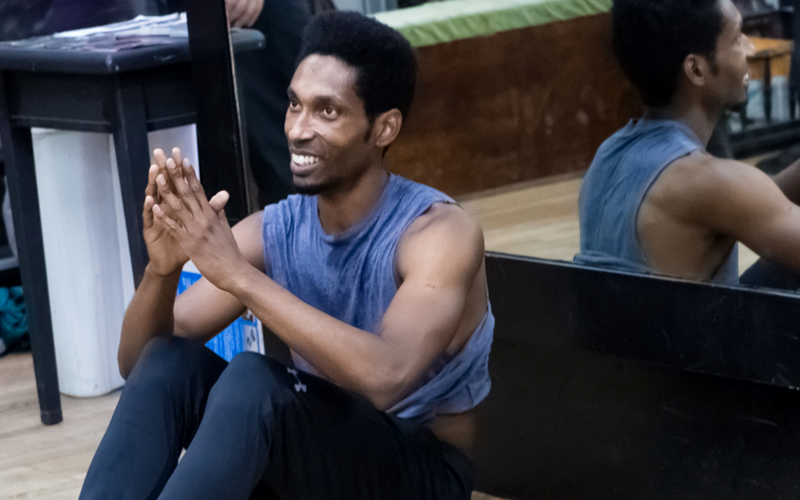 He also maintains an active dance teaching career for both adults and children at several studios in Connecticut and Westchester. Dardo is from Cordoba, Argentina, where he began acting a the age of 12. Originally studying dance as a supplement to his acting, he gradually recognized it as his true passion and began to train intensively. Dardo graduated from a 3-year program at the prestigious school of dance, “Teatro General San Martín” in Buenos Aires, studying ballet, modern jazz and composition. He also studied at the “Teatro Colón” and coached with leading ballet masters of Argentina including Haichi Acamine, Enrique Lommi and Olga Ferri. After graduation, Dardo was invited to become a member of the world-renowed “Ballet Argentino”, directed by Julio Bocca, and toured with the company for one year. In late 2001, Dardo moved to New York City, and began performing with a number of U.S. modern and ballet companies. 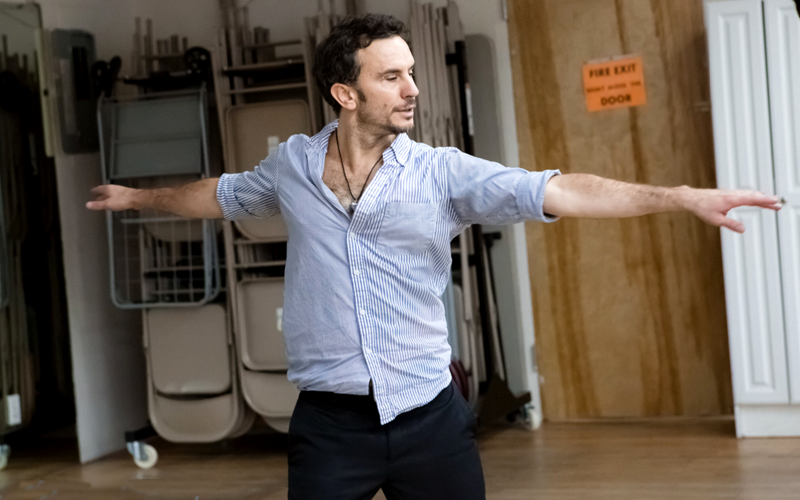 Dardo is currently one of New York’s leading tango dancers and has created a unique method for teaching tango technique, combining elements of different dance disciplines and emphasizing the understanding of energy flow. Mara Driscoll comes to New York from Boulder, Colorado, where she began her training at the Boulder Ballet. She also trained at the North Carolina School of the Arts and participated in workshops at Springboard Danse Montreal, Juilliard and American Ballet Theatre. Mara began her career at the Richmond Ballet and has since danced with Metropolitan Opera Ballet, FJK Dance, Dardo Galletto Dance, Armitage Gone! Dance and others. Alongside performing, Mara enjoys choreographing, teaching ballet, and teaching the GYROTONIC® expansion system. She has taught and designed workshops for the Young Artists' Exchange program and for Artists Striving to End Poverty. Mara holds a B.A. from New York University's Gallatin School for Individualized Study, where she focused on relationships between art, religion and society. Steven Vilsaint was born and raised in Haiti and obtained a passion for dance at the age of 13. In 2014, Steven came to the United States to pursue his dreams to become a professional hip hop dancer. Over the course of Steven’s career, he has performed alongside of well-known hip hop artists, including Ne-Yo, Elephant Man, and Sean Paul. 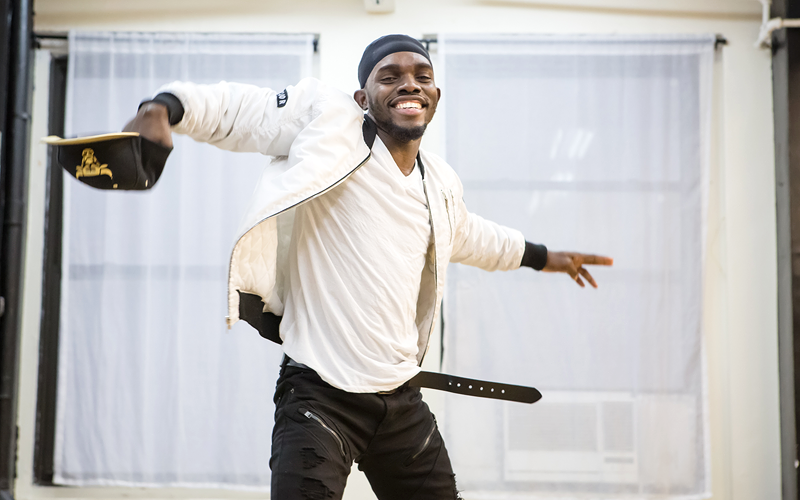 Steven also performed for several years with a traditional Haitian dance company known as Ayikodans, and toured internationally with the company. Steven’s dancing exudes an explosive energy, athleticism, and musicality. The audience is drawn instinctively and immediately to him as a dancer and as a person. Steven also is a versatile artist, willing and able to learn new dance forms, and working collaboratively alongside of professional ballet and other dancers. This versatility and openness to new ideas is critically important for the children’s own development, creative exploration, and learning.